1San Francisco Bay and the adjoining delta comprise the largest Pacific estuary in the Western Hemisphere. Depending on whether sub-bays are included, it covers about 550 square miles, roughly 50 miles long and 12 miles wide. It was formed during the waning of the last ice age, when rising seas spilled into the valley and created an enormous new bay at the mouth of the great Sacramento and San Joaquin Rivers. Roughly 40 percent of California's landmass drains into the bay, where the water flows out to sea through the strait known as the Golden Gate. For centuries, explorers sailed by the narrow opening, unaware of the jewel that lay beyond. Once discovered, the tip of the peninsula bordering the gate, now San Francisco, was recognized as the ideal location for a city looking out on the world. San Francisco Estuary Partnership | E.P.A. Members of the Kaweah Colony lived by socialist ideals in the Sierra Nevada foothills in the late 1800s. 2The world's largest tree by volume is a giant sequoia in the Sierra Nevada called General Sherman. But a nearby settlement once knew it by a different name: the Karl Marx Tree. 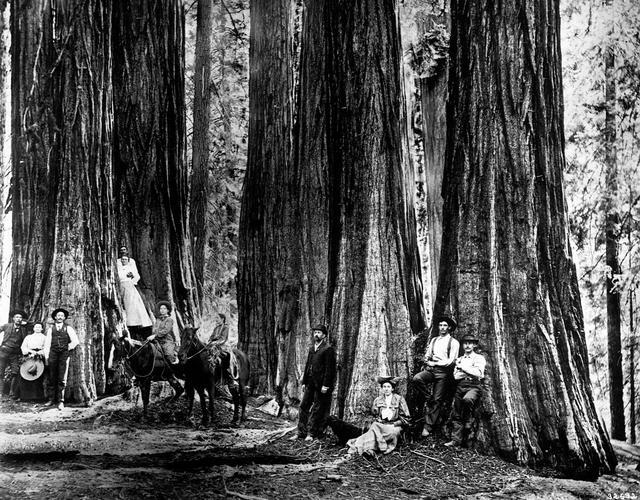 In the 1880s, a group of timber men conducted a grand experiment in utopian socialism known as the Kaweah Colony. Its leader, Burnette Haskell, a union organizer in San Francisco, was inspired by the Marxist idea that cooperative economics could serve as an antidote to capitalist exploitation. With timber sales as their primary income, the colony used a "medallion" system to swap labor for goods and provided free healthcare and housing to its roughly 160 members. They also built the first road into the forest region. Then, in 1890, Sequoia National Park was formed. The socialists were ordered out of the forest. Their leaders were arrested — and later acquitted — for cutting timber inside the park. Kaweah was over. Auckland, New Zealand, is very far from Oakland. 3In 1985, a California man made a travel blunder so epic that it put him 6,600 miles off course. Michael Lewis, a 21-year-old college student from Sacramento, was returning home from a vacation in West Germany. He arrived aboard Air New Zealand's London-to-Auckland flight at Los Angeles International Airport, where the passengers disembarked so the plane could be cleaned. Lewis was supposed to hop on a connecting flight to Oakland. 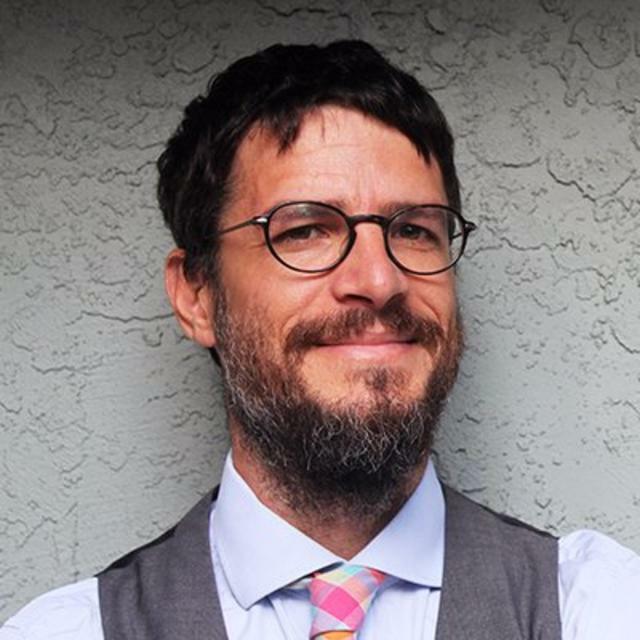 But as he left the plane, he heard airline agents direct passengers bound for Oakland to wait in a lounge. What they were really saying was "Auckland." Lewis re-boarded the plane. His first clue came shortly after takeoff when he heard the word "Tahiti" over the intercom. "They didn't say Auckland," Lewis later told the L.A. Times. "They said Oakland. They talk different." In New Zealand, the airline agreed to fly Lewis back home free of charge. 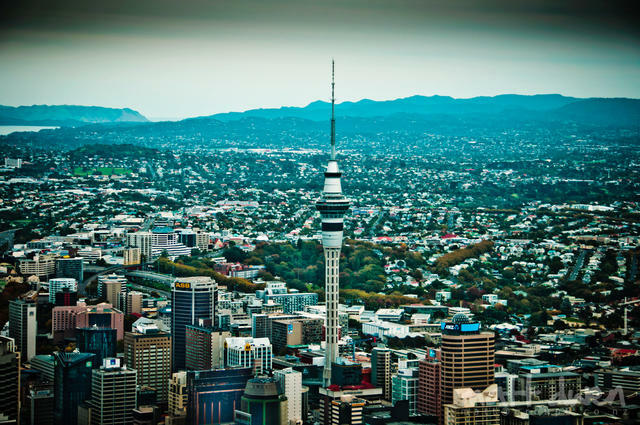 The misadventure yielded some perks: a chance to tour Auckland for the day during his layover, and a run of media stardom that included an appearance on "The Tonight Show" with Johnny Carson. On the one-year anniversary the San Bernardino terrorist attacks, the Arrowhead landmark was illuminated for 14 days in honor of the victims. 4One of the most recognizable landmarks in the San Bernardino Valley is a formation on a hillside in the near perfect shape of an arrowhead. According to Native American legend, it was created when an arrowhead fell from heaven and pointed the way to hot springs below. Scientists say the shape formed as light quartz supported the growth of white sage and contrasted with surrounding chaparral and greasewood. 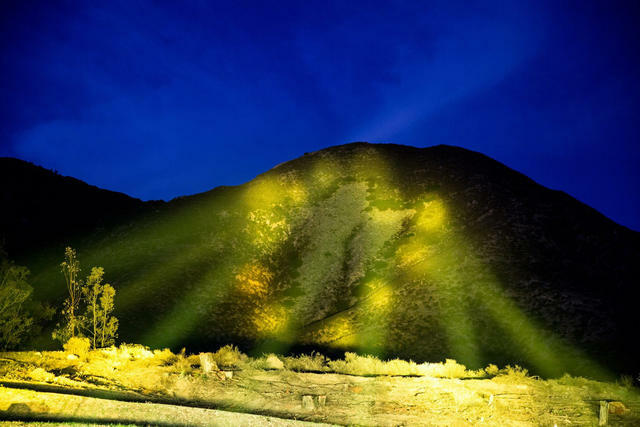 A couple years ago, on the first anniversary of the 2015 San Bernardino mass shooting, the tribe that oversees the arrowhead pointed powerful beams of light toward the hillside, a symbol of light cutting through the darkness that had enveloped the city. 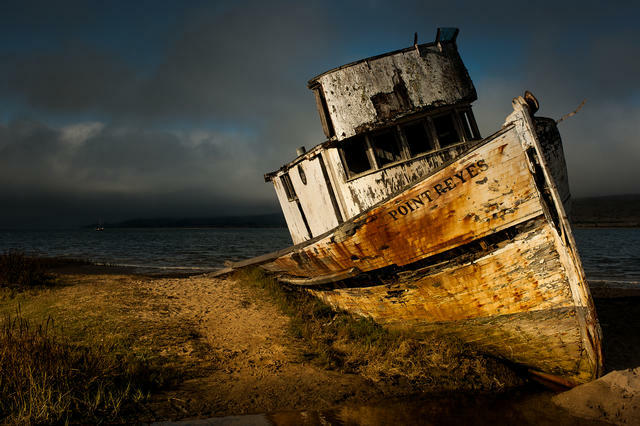 The S.S. Point Reyes, also known as the Inverness Shipwreck, is a popular tourist stop. 5Fingers of rock jutting from California's coast have devoured thousands of ships over the centuries. Among the most voracious has been Point Reyes. The cape, diabolically, is the windiest and foggiest place on the West Coast, thrusting 10 miles out to sea just north of San Francisco. Countless lost passenger liners, schooners, and other vessels rest eternally in a sort of mass watery burial ground along the coast. A beached fishing boat, known to some as the Inverness Shipwreck, is an Instagram favorite. The introduction of lighthouses, and later radar, led to a sharp drop in shipwrecks. But the California coast remains treacherous. Pretty much every year, according to the National Park Service, another vessel is lost to Point Reyes. An early version of the Bear Flag, circa 1846, held by Peter Storm, a saddle maker who was said to have designed it. 6There's been a lot talk lately about designs to break up — or break off — California. But the separatist impulse has a long history in America's continental frontier. In fact, it's stitched into the state flag. In 1846, a group of settlers revolted against the Mexican government, in power at the time. 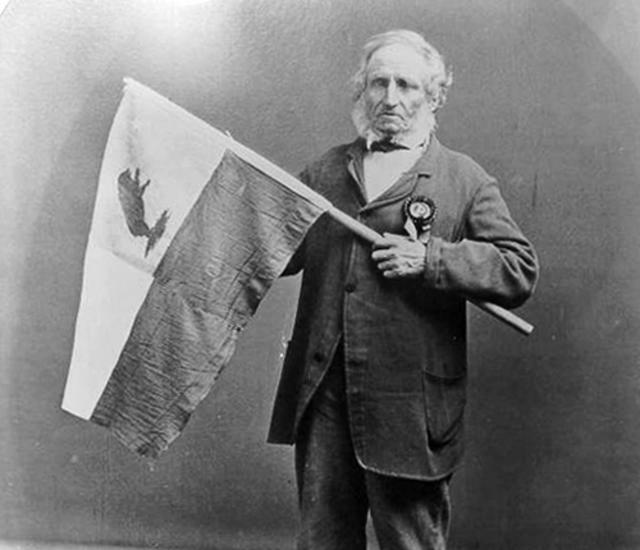 They proclaimed an independent California Republic, and raised a flag emblazoned with a grizzly bear. But the experiment was fleeting. America was at war with Mexico, and the U.S. Army moved into California. Weeks after declaring independence, the California rebels stood down. Even so, the bear flag lived on. A refined version was adopted as the official state flag in 1911.